Fast Fact Tuesday! 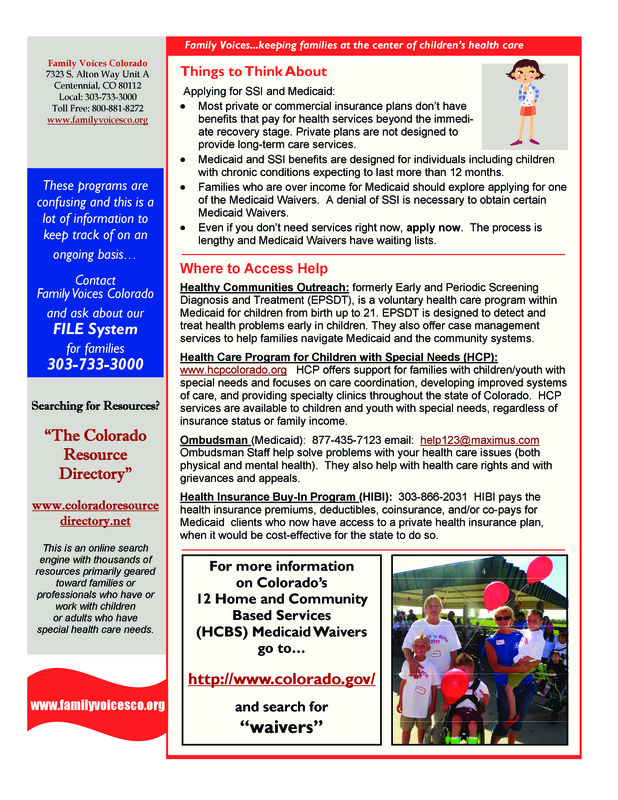 Medicaid, SSI, and Colorado Waivers! It is Tuesday, which means it is time for another Fast Fact!! 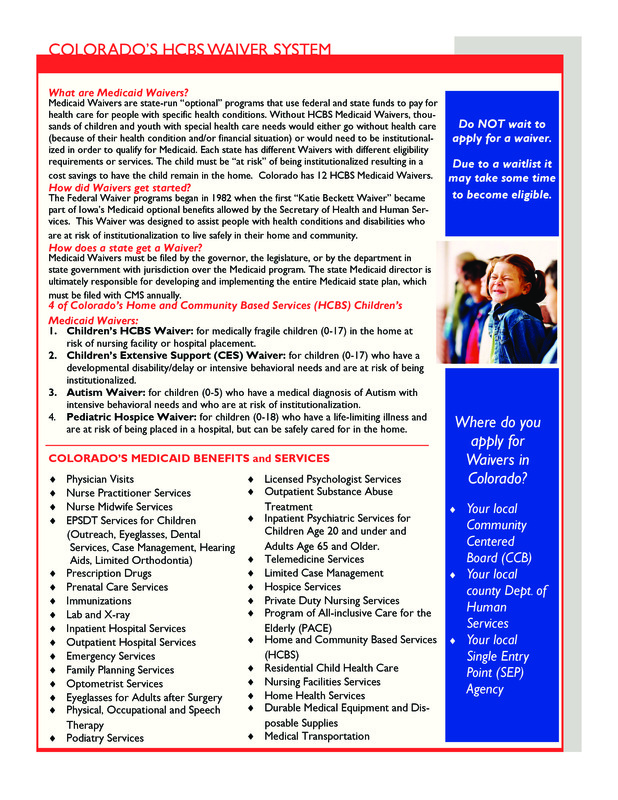 This week we are featuring a Fast Fact on what Medicaid, SSI, and the Colorado Waivers are! 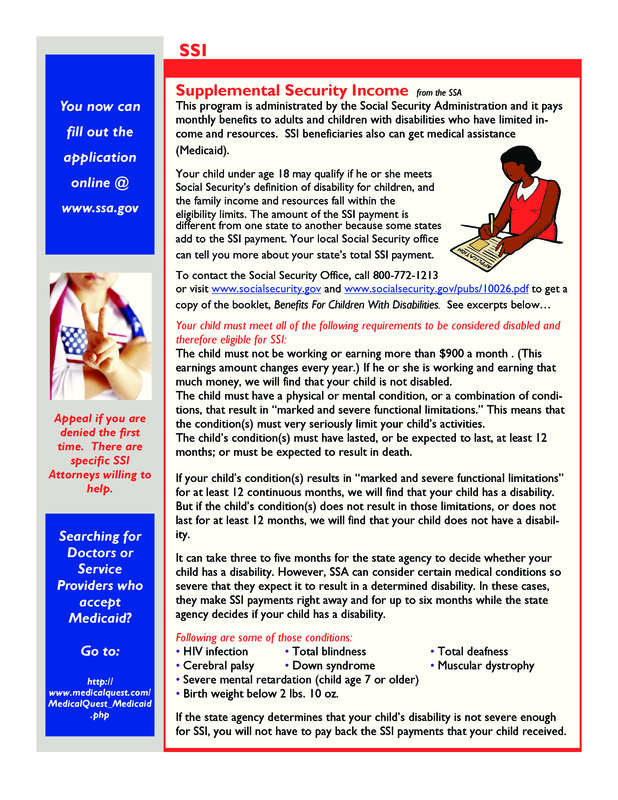 You can read it here or below. 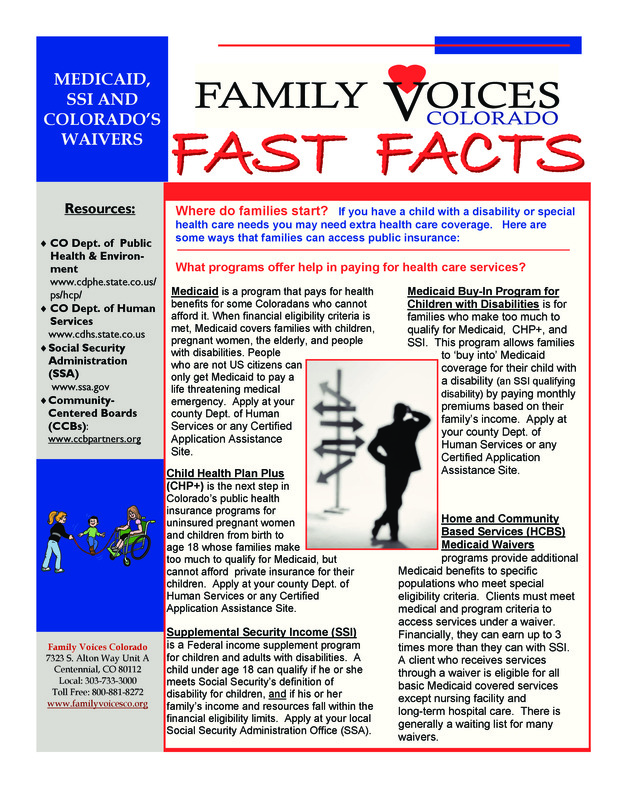 Fast Facts are informational quick reference sheets developed by Family Voices Colorado staff. They provide a lot of information and are a great starting point for anyone interested in resources! You can read them all at our Fast Fact page here!